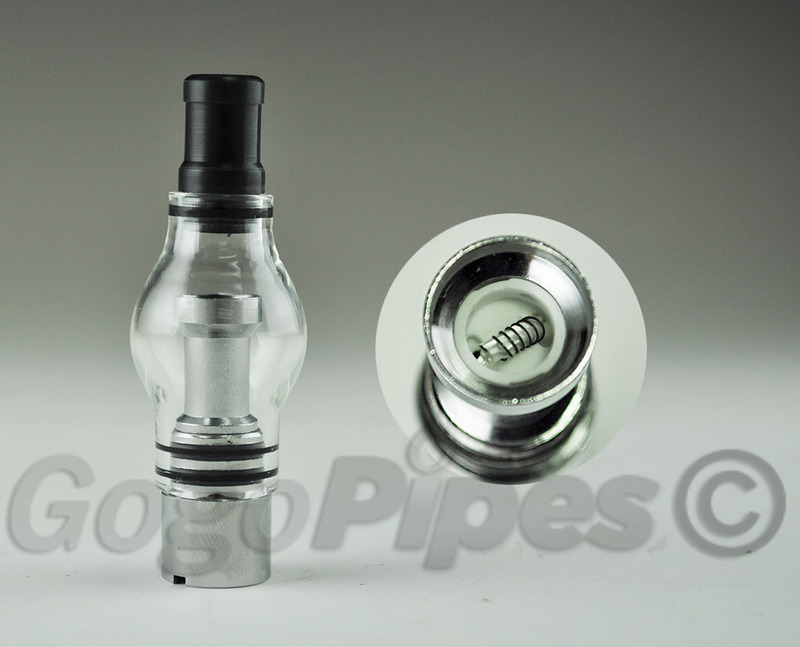 This is a glass globe clearomizer with a ceramic coil. This will work with a 510 thread battery. 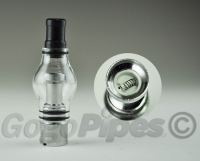 This has replaceable glass and coil.